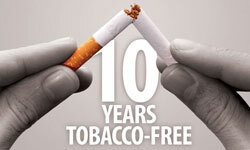 UF Health Jacksonville celebrates a decade of being a tobacco-free health system. 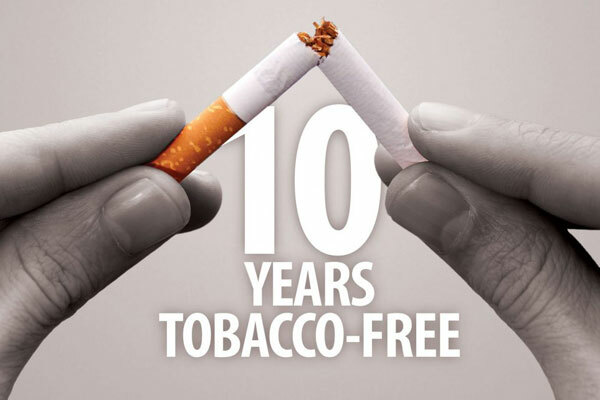 In 2008, UF Health Jacksonville and other area hospitals came together to ban smoking and tobacco products on their respective campuses for the health of patients, visitors and employees. Ten years later, smoking is at an all-time low, with just 15 percent of adults having smoked cigarettes in 2015. The American Cancer Society, or ACS, holds its Great American Smokeout event on the third Thursday of November each year. The event challenges people to stop using tobacco and helps people learn about the many tools available to help them quit. The ACS reports 36 million Americans smoke cigarettes, and tobacco use remains the single largest preventable cause of disease and premature death in the world. The addictive nature of smoking makes quitting a process. UF Health Jacksonville offers smoking cessation classes for the public and for employees to support quitting before or during the annual ACS event. Judella Haddad-Lacle, MD, an associate professor and medical director of UF Health Community and Family Medicine – Jacksonville, established the Big Step tobacco cessation program nearly 12 years ago. Haddad-Lacle herself is a former smoker. She wanted to develop a holistic approach to help patients who want to quit using tobacco. She established the program after meeting youth who were part of Students Working Against Tobacco, or SWAT, and realized a smoking cessation program was necessary in the Northeast Florida community. “Seeing teenagers doing something to help deter smoking really encouraged me to establish the Big Step program here,” Haddad-Lacle said. Big Step is a four-week class offered to the public and referred patients. The cost is only $5 per session. The program has a nearly 75 percent quit rate for those who complete the program. Haddad-Lacle works with Brenda Star, a yoga practitioner, and Purnima Kumar, PhD, a psychologist at UF Health Jacksonville. They provide education about available tobacco-cessation products and discuss the risks of smoking and how to deal with the withdrawal symptoms of nicotine. The sessions also offer breathing techniques and meditation practices. Felicia Brinkley, a UF Health certified wellness coach, coordinates the employee tobacco cessation program under the direction of Mark McIntosh, MD, an associate professor in the department of emergency medicine and medical director of Employee Wellness. The free sessions are offered in a one-on-one or group format, allowing Brinkley to arrange meetings tailored to the needs of each employee. “I like to tell participants they are the key to their own success,” Brinkley said. The program provides employees with support as they work to quit using tobacco. A pharmacist works with the program to help determine the best options for nicotine replacement therapy. The employee program has seen a 70 percent success rate for participants. The Great American Smokeout acts as a reminder that it’s never too late to make a plan and quit for good. For more information about Big Step, call 244.7837. UF Health employees can also contact Employee Wellness at wellness@jax.ufl.edu or 244.9355. Ten years after the UF Health tobacco ban, smoking is at an all-time low.